– 50% of all purchasing decisions are influenced by referrals (McKinsey). – Referrals generate more than two times the sales than paid advertisements (McKinsey). – 92% of consumers trust the recommendations of friends, family, and influencers more than other sources (Nielsen). The numbers don’t lie here. By developing a thoughtful marketing strategy that encourages and incentivizes referrals on behalf of your business, you can build a strong network of consumers and advocates for your business. So what is referral marketing anyways? Referral marketing is a business marketing strategy that aims to get other people to promote your product or service to their own network of contacts, generating new business for you. 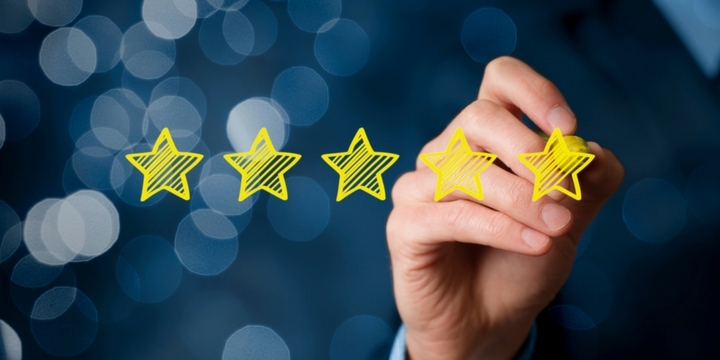 In its simplest terms, it’s getting satisfied customers and champions to tell their friends about your business and recommend that they try it out. We’re not talking about zero sum games here – this is a win-win solution for all parties involved. Your business gets free and effective promotion, your referrer gets social validation for their recommendation, and the recipient of the referral receives trusted advice on their next purchase. What person doesn’t like to talk about themselves? Human beings are naturally wired to share information, especially about experiences that they have enjoyed. People are always filling their day with conversation, often times about the products and services they’re using in their lives. Recommendations from a personal connection come with a certain level of trust. This trust often evolves into deeper brand loyalty as there is now a relational attachment associated with the business. Once a customer begins relying on one business to meet their consistent needs – especially one that others in their network have recommended – they face relational costs and social risk by switching businesses. Gaining traction in your target market is no easy feat. However, by finding even one person in that demographic who will to refer your product or service to others can result in free promotion to their network. Furthermore, because this method uses word-of-mouth and more personalized interactions, it’s easier to spread your marketing campaign to the right audience. So how can you use referral marketing? Although a bit harder than it sounds, if you can pull it off, viral content will get the buzz going about your business. It’s a tactic that will grab people’s attention to get them talking about your product or service. Moreover, they’ll start clicking that “share” or “send” button on their social media pages to reach their vast networks. If you want people to talk about your business, put them in a situation where they can actually discuss it. In-person events are a great way to show off your product and service while having control over their impression of it. Referral programs can go the extra mile in a marketing campaign. People naturally want to share their amazing new find or experience, therefore giving them the tools will encourage them to do so. If your business operates on a digital platform, referral programs are an effective way in expanding your consumer base that go beyond the limitations of in-person events. In the era of social media and online reviews, consumers care about having a voice. On the flip side, with so much information about a product or service available on the internet, it can often feel overwhelming to try and sort through endless online ratings. This means that consumers are more inclined than ever to listen to a trusted voice and base their purchasing decisions off of that one personal review. Implementing the right referral tactics to your business’ marketing campaign may give it the traction it needs to grow!